Imagine all the power and toughness of Toughpad in a pocket-sized version. 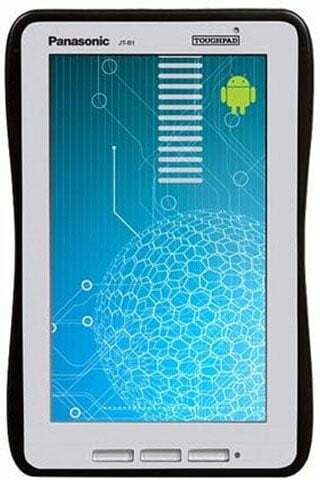 The 7-inch JT-B1 Android 4.0-powered Toughpad gives mobile workers all the integrated features and options they require in a tablet that goes anywhere business takes them. It's the ultra-mobile, ultra-convenient tablet computer that literally puts the world in the palm of your hand. The Panasonic JT-B1APAAV1M is also known as PAN-JTB1APAAV1M	or JTB1APAAV1M	.